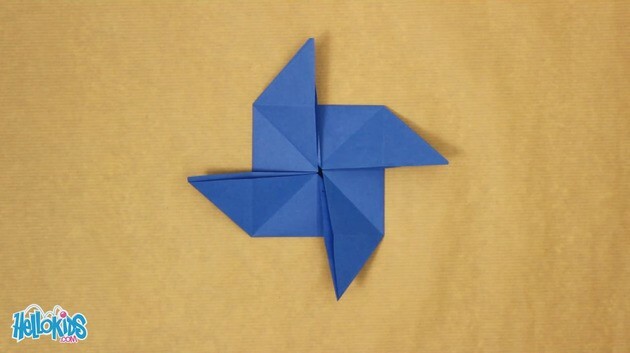 Here is a very classic origami: a windmill. 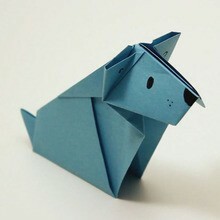 Very easy to make and it can also be a nice decoration for your room. 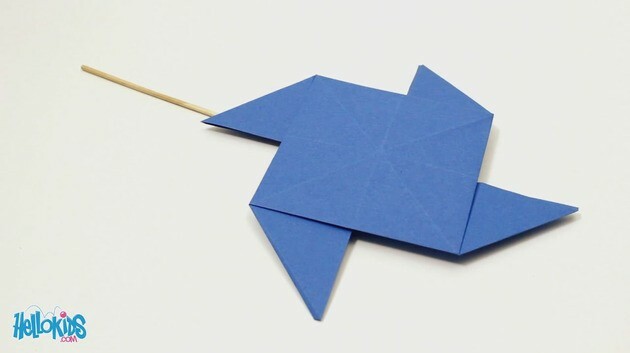 Try making a lot of windmills in different colors. 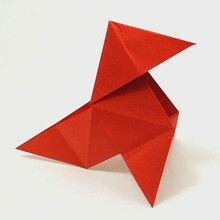 Fold the piece of paper horizontally and verticaly, and open it again. 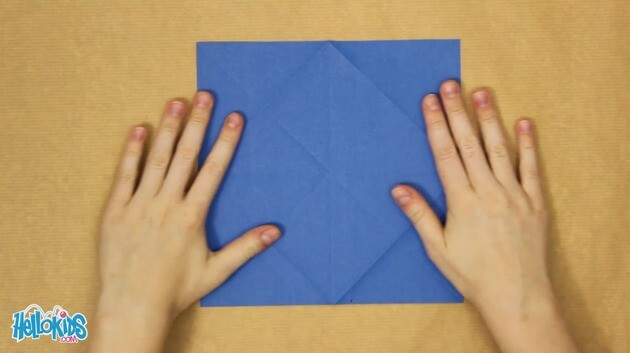 Turn over the paper, and fold it along both diagonals, and open it again. 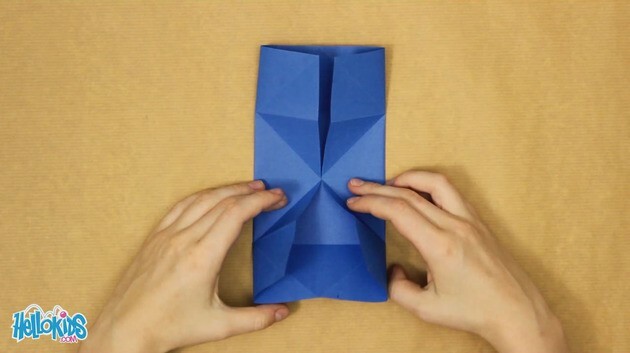 Fold each corners to the center of the piece of paper, and unfold them all. 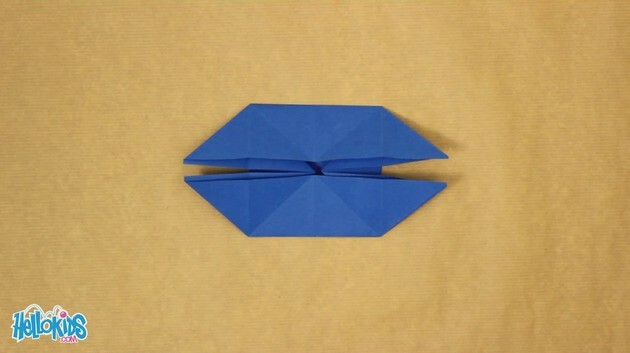 Fold the left side and the right side along the middle line. Open again. Start over with the top side and the bottom side. 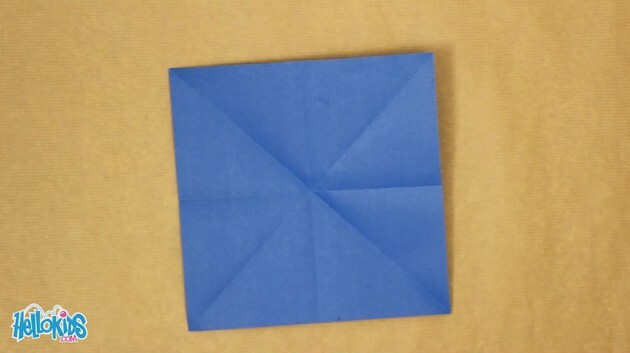 Fold the middle of the right side and the left side to the center. Don't flatten. 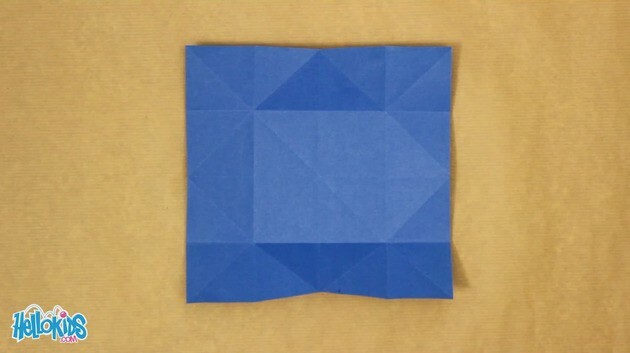 Fold the top part and the bottom part to the middle, so that the corners stay out. Now you just need to pull up the top left end, and to pull down the bottom right end. 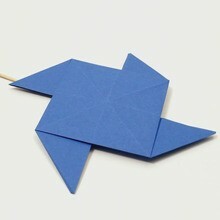 You can stick a stick to the back of the origami so that it looks even more like a paper windmill!